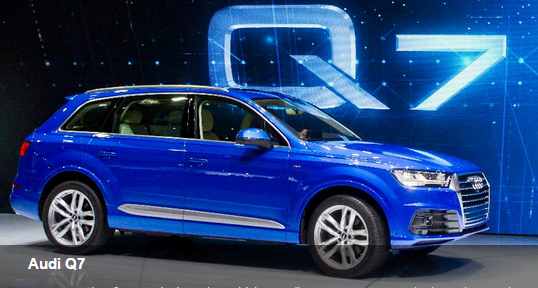 Long overdue for a redesign, the midsize Audi Q7 crossover SUV looks to be much improved. The second-generation model is based on a new platform that will underpin several Audi and Volkswagen models in the coming years. Exterior styling is more aggressive with strong character lines and muscular wheel arches. The interior is handsomely crafted and is sufficiently roomyacross all three rows of seats, though ingress and egress all the way back can be difficult. Audi says ample use of aluminum makes the new model around 700 pounds lighter, which should translate into improved fuel economy and livelier handling, with the latter further benefitting from standard rear-biased all-wheel-drive and an available adaptive air suspension. As before, both a 3.0-liter gasoline engine and a diesel V6 will be available. Among its new features, an optional adaptive cruise control system with traffic jam assistant can take over accelerating, braking and steering the vehicle at speeds under 40 mph on well-marked roads. 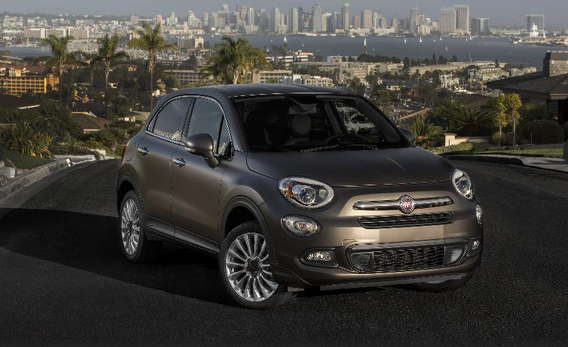 The Italian automaker extends its modish model line for 2016 with this subcompact four-door crossover SUV that shares platforms and components with the Jeep Renegade. It comes powered by either a 1.4-liter 160-horsepower turbocharged four-cylinder engine mated to a six-speed automatic transmission, or a 2.4-liter 180-horsepower four and a nine-speed automatic. Motorists can switch between Auto, Sport and Traction-Plus driving modes, depending on preference and road conditions. What’s more, the 500X offers many of the latest accident avoidance features, including forward collision, lane departure and blind spot warning system, as well as upscale amenities like keyless entry/start and heated front seats. 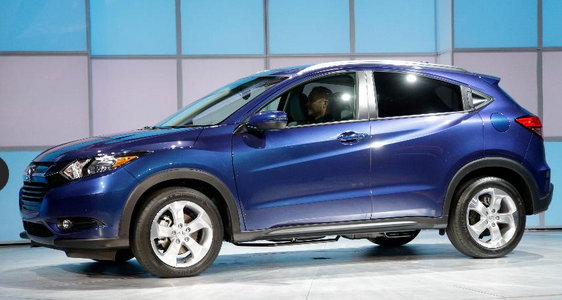 Honda likewise enters the burgeoning subcompact crossover SUV segment for 2016 with the HR-V. It’s more stylish looking than the Honda Fit hatchback upon which its based and affords both additional interior room and cargo space, with the latter aided by a second row seat that folds flat into the floor. It packs a peppy 1.8-liter 141-horsepower four-cylinder engine that’s estimated to obtain 28/35-mpg in city/highway driving; front-drive versions can be fitted with a six-speed stick shift, with a gearless CVT automatic optional there and standard with the optional all-wheel drive system. Available amenities include heated leather seats, a LaneWatch display system for added safety (it provides a panoramic view of the passenger’s side of the roadwhen the right-turn signal is engaged) and a smartphone-compatible infotainment system with hands-free text messaging. 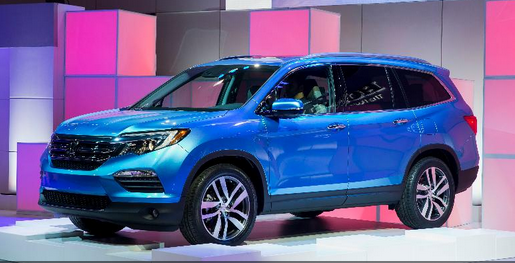 Honda’a large crossover SUV gets a major redesign for 2016 and sheds its notoriously boxy body style for a curvier and more dynamic-looking appearance. A new 3.5-liter direct-injected V6 engine generates 280 horsepower and comes mated to a standard six-speed or, in higher trim levels, a nine-speed automatic transmission. The available all-wheel-drive system not only distributes engine power between the front and rear axles but between the left and right rearwheels for maximum traction over wet roads and through the curves; an Intelligent Traction Management System offers specific operating modes for Snow, Mud and Sand. Inside, a nicely styled cabin can seat seven or eight passengers, depending on the configuration, comes with full smartphone connectivity and can be equipped with heated and ventilated front seats, a heated steering wheel and heated second-row seats. A new Honda Sensing package packs a full array of the latest high-tech safety features. This is a renamed and updated version of the upscale SUV formerly known as the M-Class that’s refreshed with updated styling and new variants that include a plug-in hybrid and so-called four-door coupe versions. The latter feature a curvier roofline to compete with the similarly cast BMW X6, though like that model this style tends to hamper entryinto the back seat and limits cargo space. 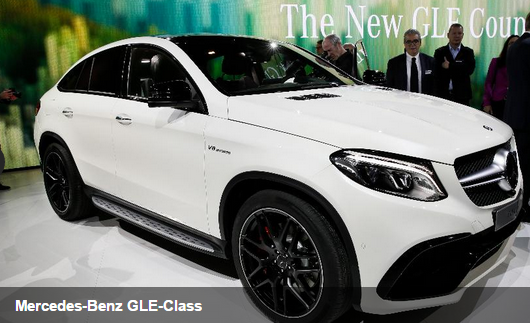 While the coupe comes standard with a turbocharged V6, the rest of the line further offers a non-turbo V6 gasoline engine, a fuel-saving four-cylinder turbodiesel version and, in the high-performance AMG GLE63 versions, a 5.5-liter twin-turbocharged V8 that puts as much as 577 horsepower to the pavement. A new dynamic handling controlsystem maximizes the vehicle performance according to selectable driving modes, including Individual, Comfort, Slippery And Sport, with AWD-equipped models including additional off-road settings. The GLE’s interior is nicely finished with myriad upgrades and a long list of convenience and safety features available. Another brand-new subcompact crossover SUV, the CX-3 bears a strong resemblance to the slightly larger CX-5, though looks a bit more muscular overall. It comes powered by a peppy 2.0-liter 148-horsepower four-cylinder engine, with a six-speed automatic transmission standard and all-wheel-drive optional. A nicely finished interior features smartphone connectivity with Aha/Pandora/Stitcher Internet radio compatibility, and SMS text message audio delivery and reply to help minimize driving distractions. A full range of available high-tech safety features includes adaptive cruise control, lane departure warning, blind spot monitoring with rear cross-traffic alert and a low-speed auto-braking function that can help prevent fender-benders in city traffic. Nissan unveils a new version of its full-size Titan pickup truck for 2016, and it follows what would seem to be a winning formula long established by the brand-loyal domestic competition. It sports a more-imposing exterior treatment and will come in standard, extended King Cab and four-doorCrew Cab body styles, with long- and short cargo beds. New V6 and V8 engines are available along with a 5.0-liter turbodiesel V8 with an estimated 555 pound-feet of stump-pulling torque. 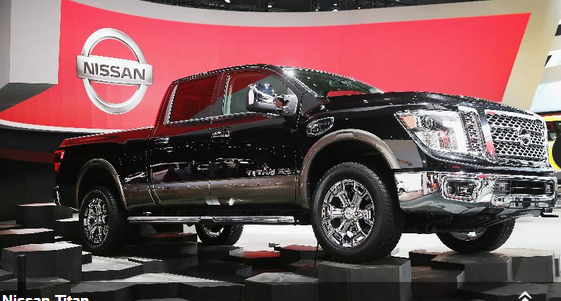 Nissan claims the new Titan will tow a maximum 12,000 pounds of boat or trailer when properly equipped. Inside, there’s Nissan’s comfy “zero gravity” seats and a large center console that can double as a workstation. As with the Ram 1500, the new Titan will offer dual in-bedstorage compartments that are lockable, drainable and removable, and can be used for either tool storage or as beverage coolers.